This article was first published in The Malay Mail Online and print edition on Oct 5th. Read it HERE. Sungkai is a small town wedged between Bidor and Slim River along the North-South Expressway that has benefitted significantly from a surge in tourism thanks to Sungai Klah Hot Springs Park. 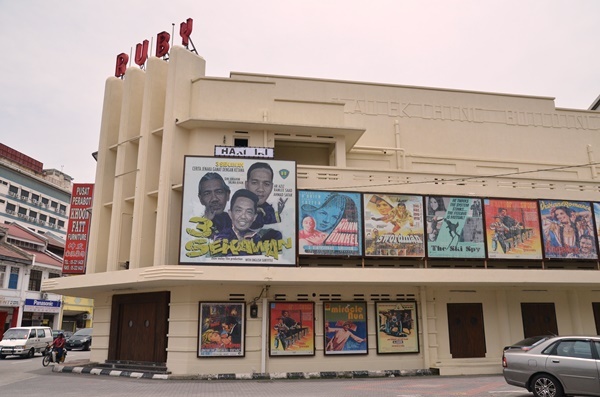 In all honesty, this little town that was barely known to outsiders (this includes Perakians too, I can assure you that!) has much less to shout about compared to neighbouring towns like Bidor, Kampar, or even Slim River. In terms of attractions, like I mentioned earlier, the hot springs park is one of Perak’s major tourism highlights. Although not known to many, there is one wildlife conservation centre aka Sungkai Deer Farm that also houses other wildlife such as ostrich and exotic birds. 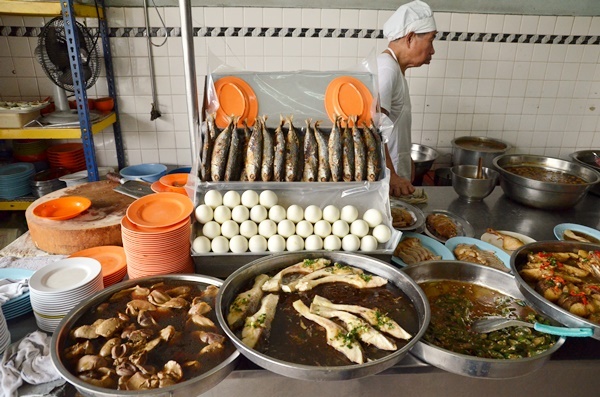 But when it comes to food, there is nothing the likes of guide books-worthy specialties, unlike Bidor’s duck noodles, Kampar’s curry chicken bun, or even Tanjung Malim’s halal pau. This article was originally published in The Malay Mail on 21 September 2014. Click HERE to read it. The headline might sound odd or even a little bit too sentimental, but that was all I remembered about Hung Wang Eating Shop in Ipoh. Occupying a double lot along Leong Sin Nam street, at the other end of the famed dim sum haven (thankfully it’s a distance away or else you won’t be able to get a parking spot! ), Hung Wang Eating Shop has been around for almost half a century now. Obviously back when we were kids, the idea of visiting an old establishment for bland, rice porridge accompanied by salted egg, deep fried fish, braised pig’s offal and even blocks of coagulated pig’s blood sounded like a nightmare. Almost akin to a visit to the dentist. Thus, the visits with our late grandpa to places like Hung Wang stopped as the years went by. Fast forward two decades later, and after years of searching for exotic culinary experiences, I guess my tastebuds did mature over time. For the past few years I have been experimenting with new cuisines, embarking on gastronomic tours locally and overseas only to discover I have this undeniable preference for fuss-free, old-school style of cooking; a tradition proudly maintained or carried through generations by outlets like Hoong Tho, Wong Koh Kee or even Hung Wang. There are at least a dozen or so famous names constantly being bandied about when speaking about chicken rice in Ipoh. 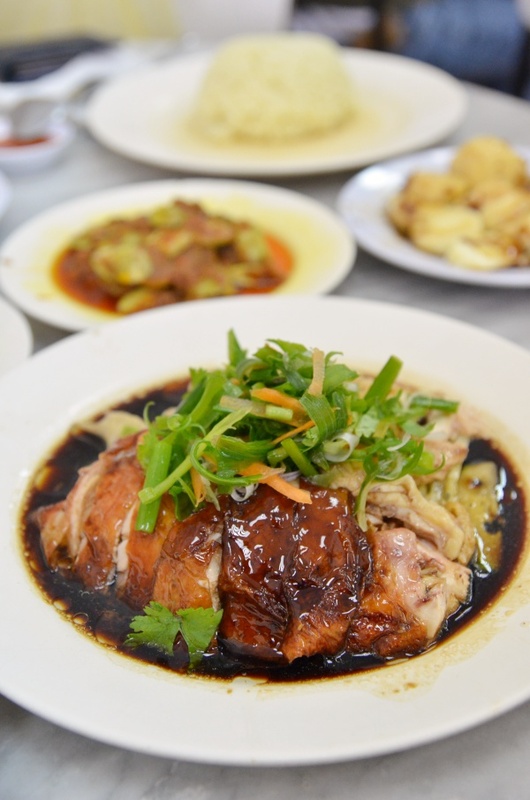 Being a hotspot for bean sprouts chicken (nga choy gai) in the country, the chicken which is usually poached to retain that smooth texture of the meat, and the accompanying nga choy aka bean sprouts grown from the supply of hard water from the limestone hills in Ipoh are parallel to none. However, with so many names to pick from (Lou Wong, Onn Kee, Cowan Street and Buntong just to name a few), where does one start to draw the line between good chicken rice and excellent chicken rice? The more renowned bean sprouts chicken stalls listed above are hot picks amongst the tourists — and locals to some extent; more so for their repertoire of poached chicken, bean sprouts and kuey teow (flat rice noodles; also known as sar hor fun to the locals) but not so for their version of chicken rice. 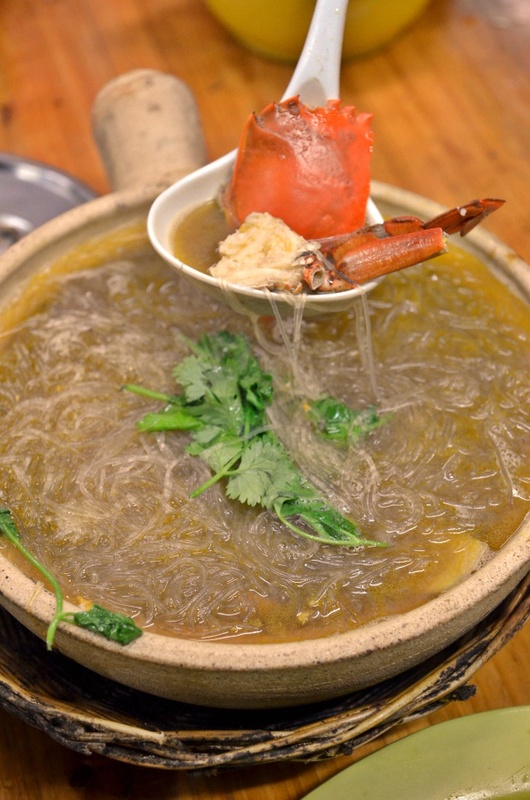 Delicious Claypot Crabs Served with a Dash of Attitude! This article was first published on Malay Mail Online. Read it HERE. I don’t know about you, but I have had my fair share of unpleasant dining experiences. Hawkers who are grumpy, arrogant and at times ruthless; they operate without a care in the world in terms of customer service. Worse is when the food quality is sub-par. You get the drill. But when the food served is delicious or at least noteworthy, then at least the unpleasant factor is neutralised to some extent. I can put up with popular stalls like the infamous grumpy Canning Garden uncle who used to sell popiah in a back alley with never a smile on his face; the chee cheong fun man — also in Canning Garden (how ironic?) — who appears to be more temperamental than your regular kopitiam folks, and who can forget the silent treatment bestowed upon anyone who rushes the curry mee seller at Xin Quan Fang near the police station in town? This article was originally published on The Malay Mail Online. Click HERE for the feature. 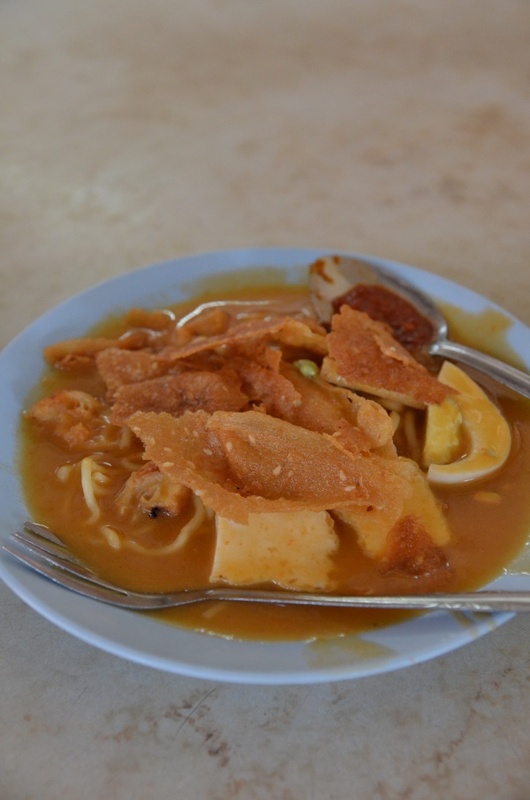 Mee Rebus from Pokok Assam Market Food Court is a delectable treat for breakfast; the crunchy prawn crackers studded with sesame seeds added oomph to the yellow noodles in sweet and spicy broth. The previous story on Taiping’s amazing street eats stirred up a whirlwind of emotions inside some of us. If you’re a Perakian and wondering how in the world you missed all these delectable treats, don’t blame yourself. It took me a good deal of travelling between Ipoh and Taiping a few years back to discover these incredible eats in Taiping. And that explains the expanding girth of one hungry soul plying this route constantly. But there is more; the suburbs of Taiping are no pushovers when it comes to housing great food finds. Kamunting, Pokok Assam and Aulong are smaller towns around Taiping that require almost next to none travelling time. The entire Larut-Matang-Selama district may be large but the populous towns are adjacent to one another. 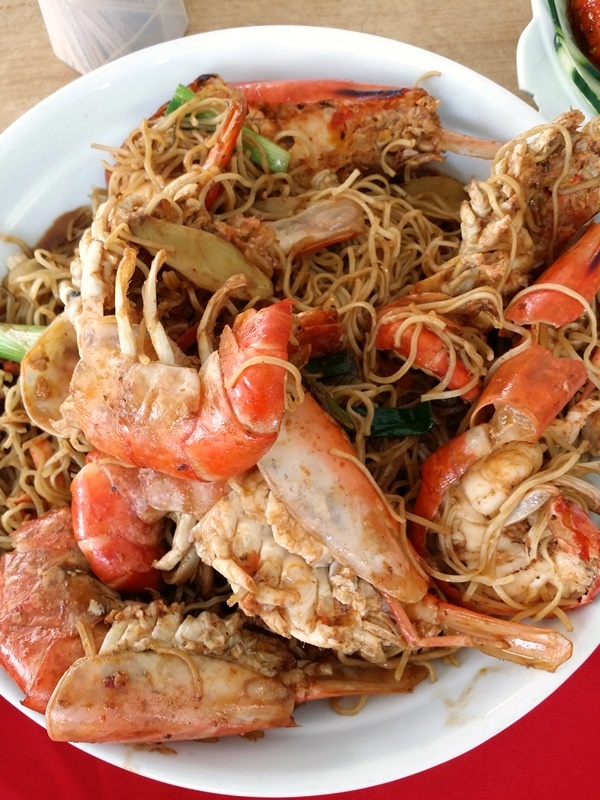 Ready for A Culinary Safari in Taiping? 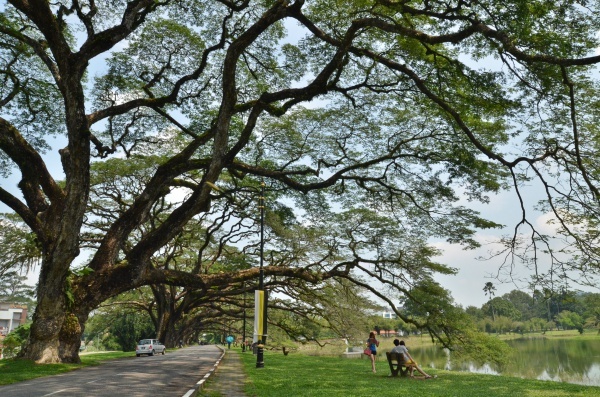 Lake Gardens in Taiping exudes a tranquil sense of wonder; a breath of fresh air from the traffic and making you walk or jog without you even planning for it. Being the second largest town in Perak after Ipoh, Taiping is blessed with an assortment of wonders; Lake Gardens with its magnificent century-old angsana trees (golden rain trees), Maxwell Hill with its cooler climes, the many firsts in Malaysia (railway, police station, museum, etc), the only night safari in the country and of course, its plentiful lip-smacking street food. We used to go on day trips from Ipoh to Taiping, all within a span of eight hours. And the hungry side of me would always have a list in hand; squeezing in at least three meals within the allocated time whenever possible. The frequent commuting between the two towns means I have eaten at a majority of the famous eateries in Taiping; yet I still find myself craving and looking for more undiscovered gems. Larut Matang Food Court – The perfect grazing spot for the indecisive. You even can choose to eat from the Halal or non-Halal section of the food centre. Thankfully, travelling on the North South expressway from Ipoh to Taiping usually takes about 45 minutes, or an hour, tops. This allows for spontaneous day trips; or at times, even random food hunt excursions. Plus, Taiping being between Ipoh and Penang makes this town an attractive stopover for travellers both north and south bound. This article was originally published in The Malay Mail Online. Click HERE to read it. Waking up early for breakfast on a weekend morning during my school days was too rare an occasion. 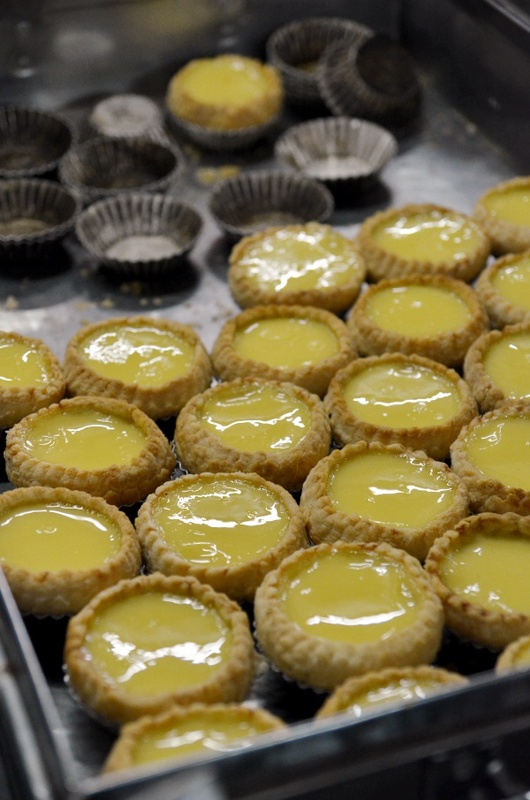 Unless, of course, the lure of a piping hot, fluffy egg tart proved to be too much to resist.